A union representing many staff has cited a loss of consistency of familiar faces who are trusted by clients. It blames a “lack of coordination” by NHS management who have acquired home care as part of the integration of health and council responsibilities. The GMB union has warned that things will worsen as a result of new contracts and cuts in travel expenses for carers using their own vehicles to visit clients within the Inner Moray Firth and Inverness. The GMB is contesting plans for redeploying 19 of its members within three months, claiming NHS managers are “breaching employment law” by altering contracts. It is also angry about the emergence of zero hours contracts. GMB regional officer Liz Gordon said: “I’m concerned about the impact on clients who are not getting continuity of care which impacts on their dignity. Clients don’t know who’s turning up from one day to the next. Earlier this month, GMB members came close to industrial action before a breakthrough in talks – the dispute involving the Inverness area is, however, at stalemate. 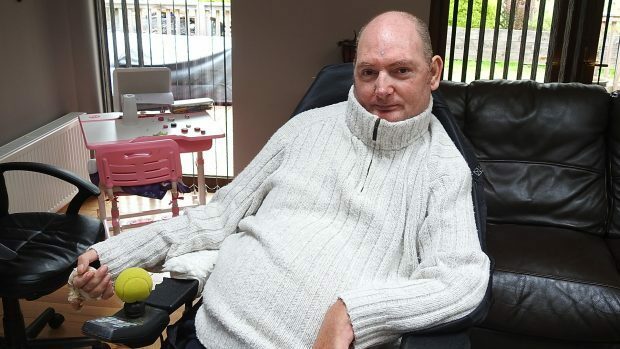 Iain Roy, 45, who was paralysed from the shoulders down while on an Army training exercise 23 years ago, depends hugely on two home carers at the start of each day. He said: “You need to know who’s coming in, to know they’re capable. Speaking yesterday at his home in Culbokie, he asked why NHS Highland was terminating the services of proven carers with 20 years’ experience. He said another impact of change was a loss of consistency in the gender of carers for individual clients. A spokeswoman for NHS Highland said: “The only staff who operate under zero hours contracts are those who have chosen to do so.